Reebok and Nike are two of the most recognizable sports equipment brands around, and you would be hard pressed to find anyone in the world who hasn't heard of one or both of these brands. Each one does have its own strengths and weaknesses of course, and these are precisely the subjects of this revealing comparison article. Nike has a reputation for producing some of the most balanced athletic shoes on the market and while the company has done its bit to uphold this reputation, it has also been guilty of resorting to over eager advertising at times. 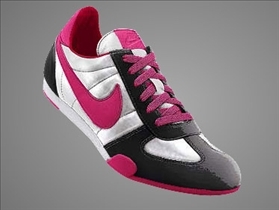 In any case, while Nike shoes are generally suitable for running and walking, many of its models tend towards the wide side and may even be pressed out of shape during use. This isn't much of a problem when the shoes are used only for walking, but they may be a source of concern for those using them for running. Loose fitting shoes or ones that get bent out of shape may cause the wearer to stumble and fall or they may cause painful blisters. Reebok shoes on the other hand tend to fit a lot better, provided you buy the correct size. Reebok shoes generally offer a better solution for running and walking, since the shoe offers a snug fit that still provides adequate protection. 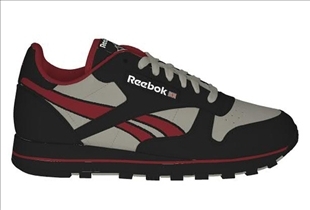 One of the most important aspects of athletic shoe design is support and while Reebok does provide adequate support (at least initially; more on this later), we would have to give the advantage to Nike. Most Nike shoes provide great support and will actually give you a bit of bounce. Not too much mind you, but just enough to save your back from a bit of wear and tear. Reeboks do have passable arch support at the start, but this tends to diminish after a few uses. That being said, Reebok does offer better support than any other shoe out there with the exception of Nike, although the extra support advantage that Nike gives you is certainly nice to have. This is where Nike drops the ball a bit. For all the superior support it provides, Nike shoes tend to fall apart fairly quickly under heavy use. Even just a few miles of running everyday is enough to make them quickly turn into mush. Reeboks on the other hand hold up remarkably well to rugged use, and it seems that they are almost indestructible. Clearly Reebok is the winner in terms of ruggedness and durability. Which brand holds up better? Yeah I agree completely. I just got the Reebok Berlins and those are incredible!